Warmup Underlay is an insulated barrier that is made from very thin polystyrene. It is designed to be used with the Warmup Foil Underfloor Heating System, and it is positioned between the subfloor and the foil heater. Once in place, it reduces heat loss from the foil heater by preventing the heat from going down into the ground and reflects heat upwards to ensure more heat goes into the room. In addition, it provides extra cushioning from steps and lessens the impact, helping to protect the system. The result is a more energy-efficient underfloor heating system that reduces heat loss, heats the room faster and saves you money on your energy bills. We sell a wide range of Warmup products at Atlas Ceramics, and that includes Warmup Underlay. The underlay is an important part of an underfloor heating system for soft floor coverings like vinyl and carpet, and it can help to improve fuel efficiency and save you money on your bills. Here is some more information about Warmup Underlay to help when you are deciding on your next underfloor heating system. 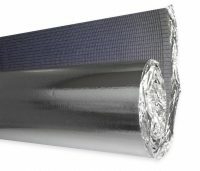 Warmup Underlay is designed to be used with the Foil Underfloor Heating System as well as the Warmup Dual Overlay System. The Foil Underfloor Heating System is used in rooms with floating floor finishes, which includes vinyl, carpet, laminate and engineered wood, so the underlay is designed for use with these floors too. As for subfloor types, it is suitable for screed, concrete, timber suspended and batten subfloors. Warmup Underlay is best used in large rooms that are shaped regularly because it has to be rolled out, and it is more difficult to install it in small rooms with obstacles. However, it is suitable to be used in renovations as well as new constructions. Because the underlay is designed for use with the Foil Underfloor Heating System, it is worth knowing a bit more about this type of heating system to help you decide which is the right option for your home. The Foil Heating System is designed to be used with ‘floating floors’ such as vinyl, carpet, laminate or engineered wood. It comes in the form of electric foil heater mats that can be rolled out over large areas in regular-shaped rooms. The foil is wrapped around a multi-strand cable and diffuses the heat away from the cable. The system is very simple to install and provides consistent heat distribution through the room. The 0.5-metre mats are simply rolled out across the floor until the entire area is covered. It can be used as a primary or secondary source of heating. The system is installed under the floor finish and does not require self-levelling. Incredibly thin and measures just ¼-inch thick (6mm). 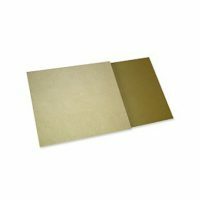 Foil backing acts as a barrier to moisture. Has excellent acoustic properties so it can help reduce sound as well as heat loss. The top layer is made from grooved polystyrene and the bottom layer is made from silver foil with an adhesive overlap. They are all 6mm thick (or 13mm when combined with the Dual Overlay). We are currently providing a 35% discount on all Warmup products, including Warmup Underlay. So if you want to get your underlay for over a third off the normal price, act quickly because the offer won’t last for long! Warmup Underlay has to be installed before you lay the foil heating system to provide an insulation layer, and the heating system goes underneath the Warmup Dual Overlay System. To install the underlay, make sure the base is clean. The silver foil should be facing down, and then install the insulation in this position. Lay the first row and roll out next row beside it. Then remove the protective film from the overlap, which is self-adhesive, and stick the rows together. Once the floor area has been covered, you can install the foil heater and finally the dual overlay. As well as the Warmup Underlay, we also stock the Warmup Dual Overlay System, which you will also need to make sure your foil underfloor heating system is as efficient as possible. This is a thin (7mm) free-floating subfloor that provides a smooth finish for floors covered with carpet, linoleum and vinyl. It comprises two layers, and the baseboard and top board are bonded with adhesive. It protects the heater wire from heavy or sharp loads as well as helping to ensure a more even heat distribution. It creates a stable subfloor so that various floor coverings can be laid on top. Installation is quick and clean, and you do not need any self-levelling. This is not suitable for wet areas like bathrooms. Warmup Underlay is an excellent option if you want to make sure that your Foil Underfloor Heating System is as efficient as possible and heats up your room properly. You can buy your underlay directly from our website, and we will deliver it to your door. However, if you want more information about your underlay or about the Foil Underfloor Heating System in general, including the Warmup Dual Overlay, contact us today and we will be more than happy to answer any questions you have.